While health technologies have rapidly innovated in recent decades, many of these technologies remain out of the hands of the everyday user. The Qualcomm Tricorder XPRIZE competition challenges today’s limitations and redefines what is possible to change the world for the better. Its latest challenge, inspired by Star Trek, is to develop a Tricorder device that accurately diagnoses 13 health conditions and captures ﬁve health vital signs. The Tricorder could radically transform the frontline healthcare landscape, giving individuals the choice in when, where, and how they receive care in a convenient, affordable, and accessible manner. Ontario’s Start-up of 2015, CloudDX, is submitting its platform, VITALITI, to the XPRIZE competition. 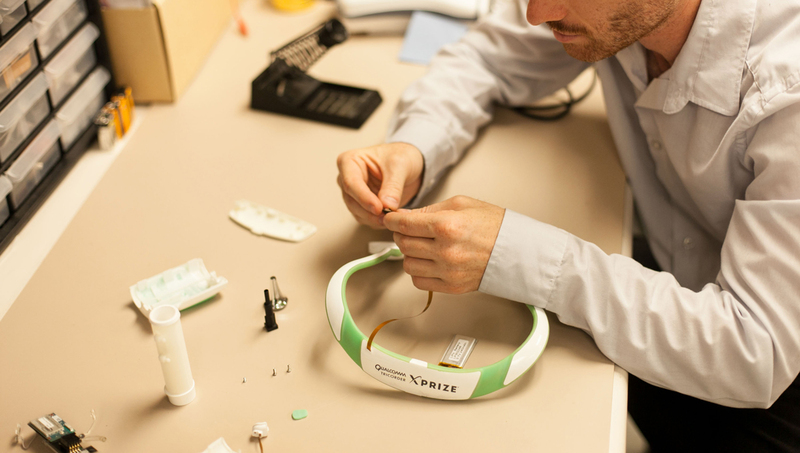 As one of seven ﬁnalist teams and the only Canadian start-up in the Qualcomm Tricorder XPRIZE competition, CloudDX sought our expertise to help redesign and test the VITALITI Tricorder for the ﬁnal stage of the competition. In particular, Healthcare Human Factors worked in collaboration with Cortex Design Inc to redesign the Tricorder’s earpiece, otoscope, and ECG wearable to improve performance and user experience. 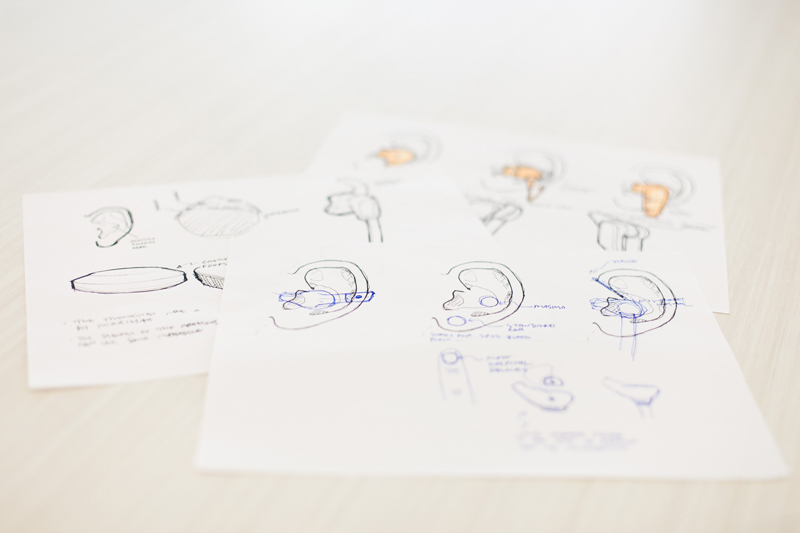 Using heuristic analyses and a human-centered design processes our aim was to improve the Tricorder’s earpiece. The earpiece is full of sensors, measuring Sp02, heart rate, core body temperature, and aids in real-time blood pressure calculations. 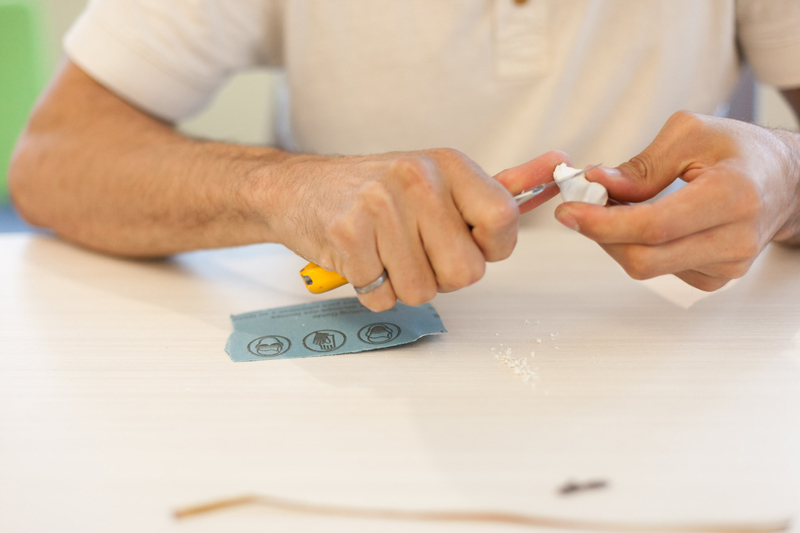 After an initial evaluation phase, dozens of design iterations, and multiple user-testing cycles the final product was an earpiece with substantially improved signal quality and a more comfortable ﬁt, critical for extended-use. Hardware upgrades were also made to the otoscope to improve image quality, to the ECG wearable device to improve signal quality and reliability during movement, and to the earpiece to improve signal quality. These modiﬁcations ensured better performance in the Qualcomm Tricorder XPRIZE competition and pushed the product toward potential future commercialization efforts. Beyond the XPRIZE, this technology will have a dramatic impact on rural areas and developing countries. From clay to 3D Printing: we have the technology to explore all possibilities… and reﬁne to perfection. The results of the Qualcomm Tricorder XPRIZE competition will be announced in early 2017. In the next year, CloudDX will continue to push the VITALITI platform to market so that individuals can integrate health knowledge and decision-making into their daily lives. Healthcare Human Factors will continue to work with CloudDX to advise on usability, product design, and commercialization strategies to enable the platform reach the hands of everyday users.